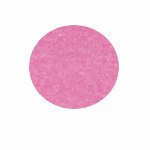 Hello Shimmerz fans, Ericka here today! I hope you all had a wonderful Christmas and now have a little time to relax before the New Year. 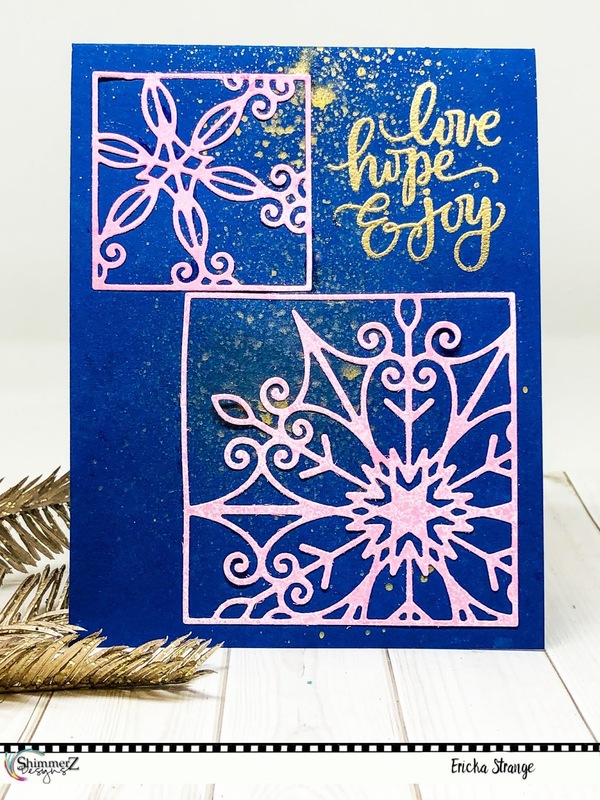 Today I have a winter card using Sweet Heart and Glorious Day Vibez Sprays. I love the sparkly pink color of the Vibez. 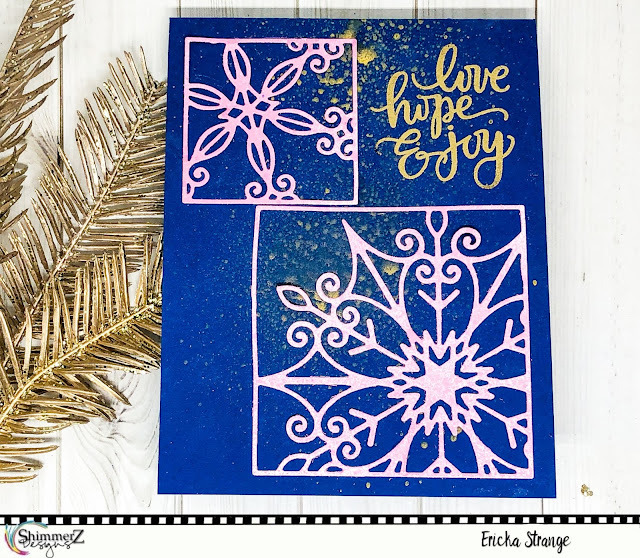 I first sprayed some Sweet Heart Vibez on white paper and once it was dry, used a snowflake die cut. I then used the Glorious Day Vibez on the navy blue card stock to add some gold in the background. I love how well the gold shows up on the dark card stock. Once it was dry I added my sentiment by gold heat embossing it. 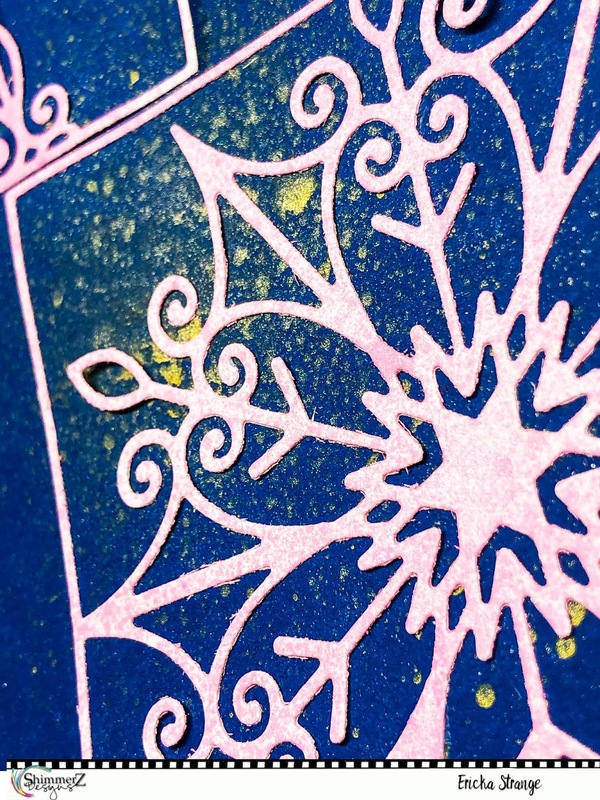 I then adhered the snowflakes to the card base. And there is my simple winter card using some beautiful Shimmerz products. Thanks for stopping by and I hope you have a wonderful New Year celebration! 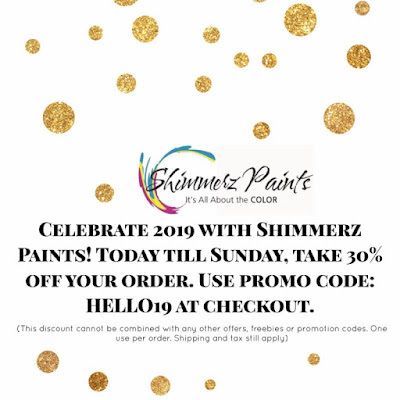 If you need a little more shimmer in your New Year remember today is the last day of this awesome sale! Don't forget to mention my name (Ericka Strange) in the comments when you place your order and get a fun freebie!